If you’re considering filing a claim, it’s important that you do it now rather than later. Medical claims have a two or three year statute of limitations– depending on your jurisdiction. Stryker has already tried to use the statute of limitations in defense of their implant recall lawsuits. In Cerqua, v. Stryker Corp, District Judge Katherine B. Forrest overruled Stryker’s defense, which claimed that the statute of limitation should begin when the plaintiff first experienced hip pain. Stryker claimed that the statute of limitation had run out for the plaintiff to file a claim. The judge ruled that the statute of limitation should only begin after the plaintiff experienced worsening hip pain and consulted his doctor. That said, statute of limitations isn’t clear cut in medical law as there is room for interpretation of prior case law. Should the statute of limitation begin when the procedure is performed? Should it begin when the patient first experiences mild symptoms? Should it begin the first time they talk to their doctor? Should it begin the first time the doctor takes a blood test or X-Ray to determine if there are complications? If you think you might have a valid claim, it’s prudent to file it earlier rather than later. The longer you wait, the stronger the chances that Stryker can claim that your statute of limitations has run out. Due to the high volume of litigation that Stryker is expecting, most of the cases will likely be processed under a Multi-District Litigation (MDL.) Because most cases will have similar evidence, this allows the courts to save time by reviewing all the evidence at one time. Judges can at their discretion individually break out standalone cases. It’s important to note that a multi-district litigation case is not the same thing as a class action lawsuit. With a class action lawsuit, all the cases in the lawsuit are processed as a single case. Class action lawsuits are optimal for cases where all plaintiffs have similar symptoms and damages. Since metal on metal implant litigation varies widely from case to case but has similar evidence from case to case, a multi-district litigation case is used instead. In an a MDL, different plaintiffs can receive individual settlement amounts and have separate trials. The evidence discovery phase is shared by all plaintiffs and all pre-trail rulings will remain consistent from case to case. The overall multi-district litigation will be presided over by one judge, though individual cases will have different judges. The judge presiding over DePuy’s ASR hip implant lawsuit, the Honorable Brian Martinotti, will likely also preside over Stryker’s multi-district litigation case. The lawsuits against Stryker will most likely allege that Stryker took to market a product that was unsafe and kept it on the market longer than they should have, despite mounting evidence that metal on metal implants had serious medical issues. Plaintiffs may allege that data showing higher than normal early failure rates weren’t acted upon in a timely manner. In other words, Stryker failed to use adequate pre-marketing and post-marketing safety measures to keep the public informed about their medical options. If you have a defective implant, have experienced an implant failure or have metal poisoning symptoms, you may be entitled to receive compensation. You could be entitled to receive medical cost reimbursement, compensation for disability, compensation for lost wages and compensation for any pain you’ve experienced. Because tens of thousands of these units have been sold, there will likely be a lot of litigation in the near future. 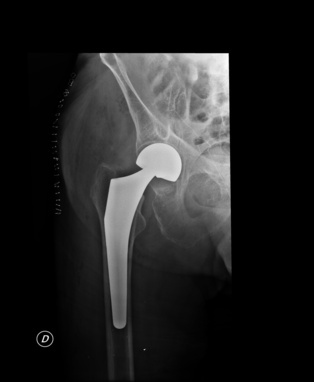 These cases are highly specialized and should only be handled by attorneys experienced in handling defective hip implant cases. At Drug Law Center, that’s our specialty. To learn more about whether you qualify for compensation, give us a call at (888) 424-5757. Here is a copy of a recently filed Stryker-Rejuvenate-Lawsuit.